Wouldn’t it be great if you could just magic up a pot of gold whenever you needed it? 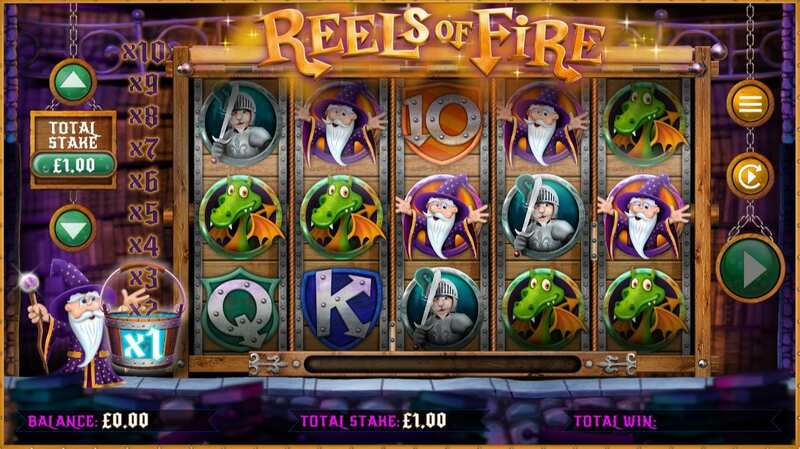 Well, you are one step closer to being able to do that when you play the magical Reels of Fire casino slot game! On the face of it, this game looks like any other slot out there, but it manages to pack a whole lot more bonus features in. Let’s go and meet the wizard to see exactly what he has in store for you. Try playing these casino slots from Wizard Slots. Core Gaming are the team of developers behind this thrilling slot that is certain to have you on the edge of your seat with every spin. This UK-based gaming company is one of the world-leaders when it comes to slots, so you know that you are guaranteed a great game whenever they bring out a new one. Not only that, though, but their use of HTML5 in their games means you have more options of how you play – will you choose to play on your desktop or mobile device? If you want to play more games from Core Gaming, you're in the right place as we have them all here on Wizard. Reels of Fire is based on magic, and you’ll be playing with a medieval magician in his library. The game design looks like you are in a Disney-style library with large wooden reels in front of the many bookshelves. 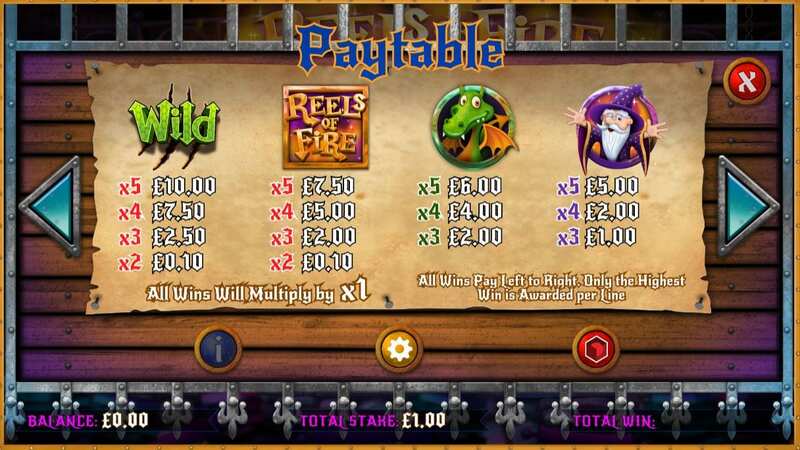 In total, you’ve got five reels and twenty pay lines to play with Many magical characters will appear throughout the game, including dragons and knights. All of these characters bring with them certain extra features and bonuses that could help you on your quest for the magician’s treasure. Be sure to check out our helpful guide that lists out the most popular slots to play preferred by new and regular players. · WILD SYMBOL – The green symbol is the Wild and, apart from the Furnace Scatter, will replace symbols on the board. · FREE SPINS – In order to win some free spins, you need to collect some Ignite Symbols. At least three will bag you some extra spins. · MAGIC MULTIPLIER – While you are in the middle of a base spin, you might benefit from the Magic Multiplier. The magician can randomly activate this multiplier whenever he wants. He’ll make a bucket fly over the board, which indicates which type of multiplier you’ll get. If he’s feeling extra generous, he might push the bucket a little himself to guarantee you an even bigger pay out at the end of the spin! · WILD WIZARD – The Magic Multiplier isn’t where the wizard’s generosity ends. You might also get the Wild Wizard which sees him spin some symbols. Once they stop spinning, they will turn into Wilds, further increasing your pay out.